Decoding crochet with the help of Eric. Giveaway included. 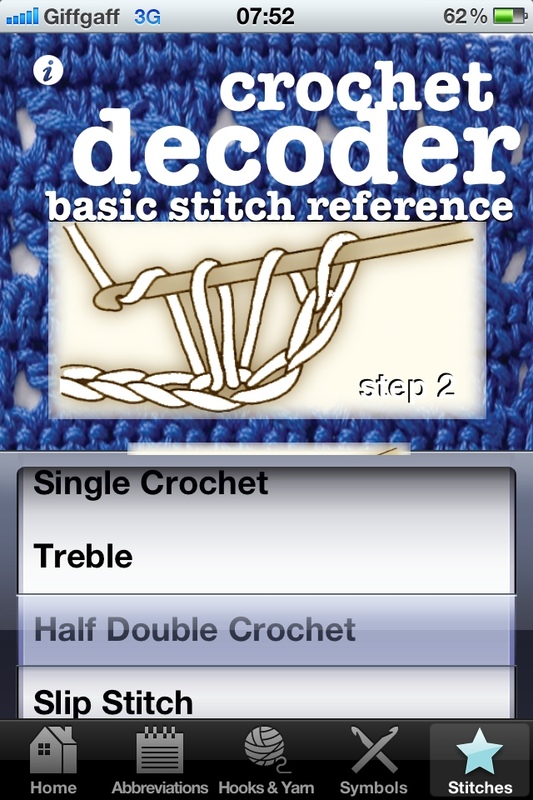 In August 2012 I told you about a great App for crocheters, called Crochet Decoder. Since then, sugar coded apps have released an update, which now includes easy to follow instructions for making the most commonly used crochet stitches. 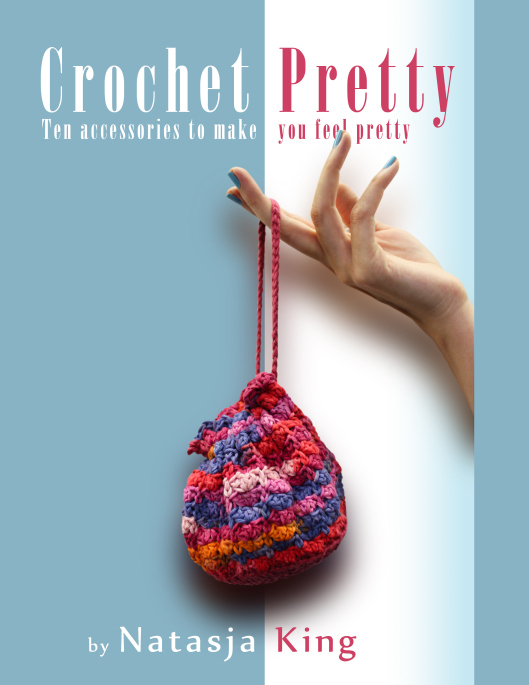 As before, you can still look up a crochet chart symbols; find the recommended hook size for six types of yarn and description of the yarn weight; scroll through a dictionary of crochet pattern abbreviations; and find the metric size of crochet hook sizes. Screenshots for these functions can be seen in my 5 August 2012 post here. 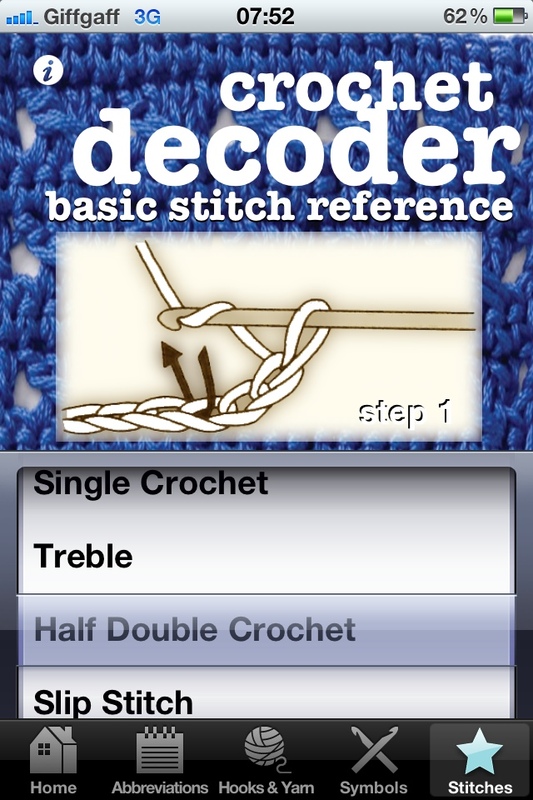 The app now really has everything you need to read any crochet pattern – especially those intimidating Japanese charted patterns where all you have to go by are crochet symbols – and a handy reference tool to consult when buying hooks and yarn. I basically have many friends who are crafty… some of which learned crochet, but found the process of following patterns daunting because of the lingo, symbols, abbreviations, etc. It seemed like a good fit to help them out by using my skill of app-making to help them pursue their craft. 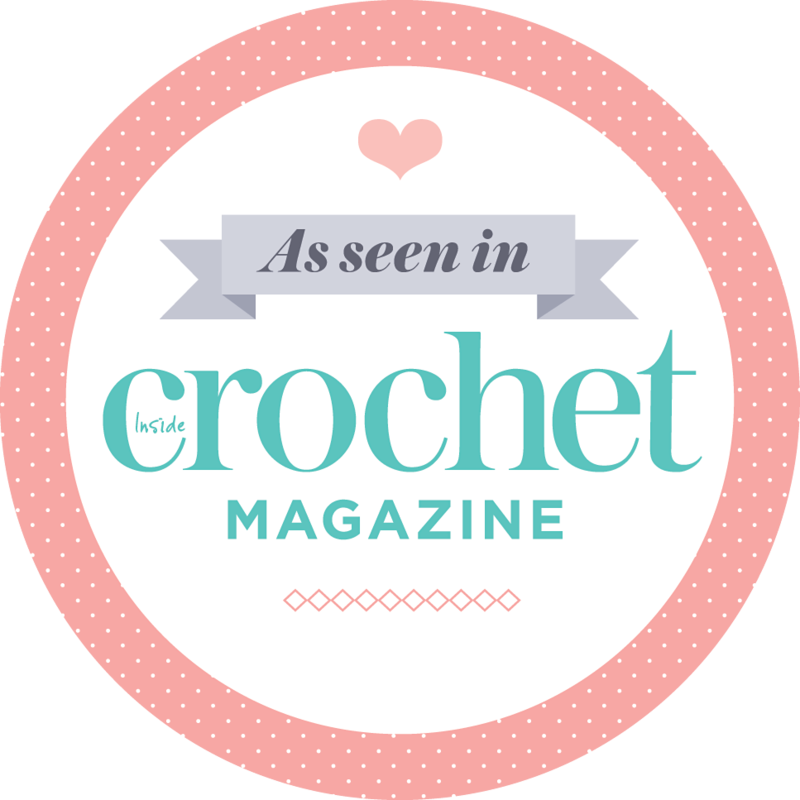 I did some research and saw there wasn’t really a quick reference app to decoding crochet patterns. Everything was more like a tutorial on ‘how to crochet’. This app is designed to be more of a ‘cheat sheet’ to the basics once you start reading patterns, writing you own patterns, etc. It’s not designed to ‘teach you how to crochet’ per se’. I did add ‘Basic Stitch Diagrams’ in the new update, because it was so requested. It should help those new to crochet who haven’t memorized how to do all the basic stitches yet. I’ve actually done a little crochet in the past & find the craft fascinating. Making the app, researching it, & finding places to spread the word has me even more interested in the craft than ever & makes we want to learn how to make an actual project! Well done Eric! Thanks for coming to the rescue to us technophobes-with-hooks. Now for the best bit. Eric has give me ten codes that I can give away to ten lucky readers to download the app for free! All you have to do is leave a comment on this blog post. 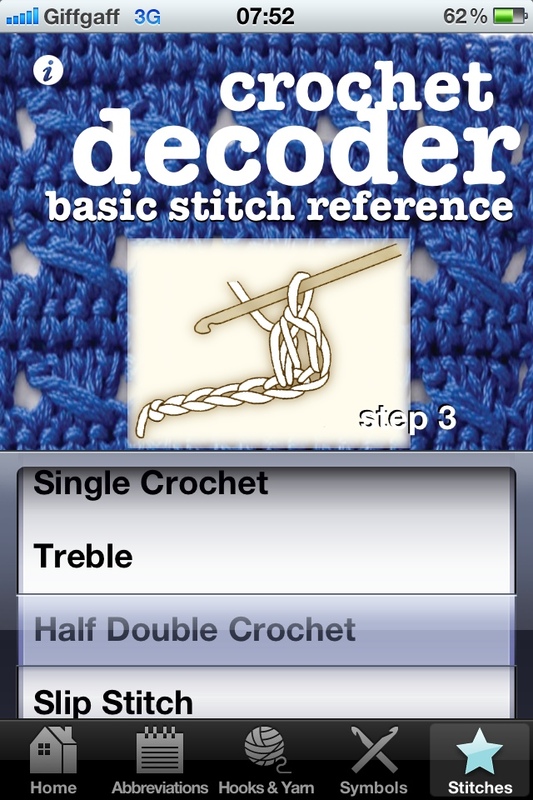 The first ten people to leave a comment will receive a code to download the Crochet Decoder app for free! I’m so grateful to developers and app writers like Eric who can give crafting, and sharing of that craft, a techy twist. The makers of Ravelry, WordPress, Blogger, Pinterest, Instagram, PicMonkey, Gathered magazine, sugar coded apps – you guys are the best! Simply fantastic! Hope I am one of the lucky 10! Whaw! Hierdie App klink fantasties! Net wat ek nodig het om nog meer pret met my hekelwerk te he^! Dankie dat jy ons daarvan vertel het! Ek hekel net die basiese steke en kan glad nie n patroon lees nie. Dit klink na n awesome app. Dis ‘n fantastiese app! Ek raak lekker deurmekaar met al die steke en as dit kan help om daardie Japanese patrone te lees – YEAH!!! Hoop dit gaan op my BB werk! thank you! got it downloaded! Now the fun of exploring exactly what it can do!! han faff about on my phone! I would so love to have it – sounds amazing. Does he for one for knitting? Unfortunately you are commentor no. 11, but there is hope. One of the ladies has a Blackberry and she is going to try and see if the code works on BB (I don’t think it will…). If it doesn’t work, her code will go to you. I had a look on his website and couldn’t see anything for knitting. http://www.sugarcodedapps.com/our_apps.html. I can’t wait for Ravelry to bring out an app! I know I am commentor no 12, so there’s no hope for me ( I personally blame it on my job as teacher where I cannot surf a bit to inspire me with creative things) but I think it is a great idea. I’ll just have to buy it, so that I am always prepared to decipher my crocjet stitches! Sorry you missed out Lani. It costs only 99c so give it a go. Thank you for the good idea and thank you very much Eric. I know it’s too late for me…. Unfortunately it is only Apple (iPhone and iPad) friendly 😦 Someone else tried the code with her BB and it didn’t work. When will it be available for Android? Sorry Kathie I don’t know. You could click on the link to the sugar coded apps website and maybe contact them directly? Will this App work on the Kindle Fire? No, unfortunately not, it only works on Apple products.